Projectors are one category that have found themselves very well represented in this year’s holiday deals, and we have anther one here that you’re not going to want to miss. The Crosstour 1080p mini LED Home Projector is small, light, and quiet. And it’s super inexpensive, too. With support for a maximum 1920×1080 resolution, 2000:1 contrast ratio, and 2000 lumen (+70% brightness) this projector is a great option for a low-budget home cinema. It’s extremely well reviewed on Amazon, too, with a rating of 4.6 out of 5 stars from 76 reviews at the time of writing. That’s helped by the three-year money back guarantee that Crosstour offers, and that’s not the kind of thing a company does if it doesn’t have confidence in its wares. 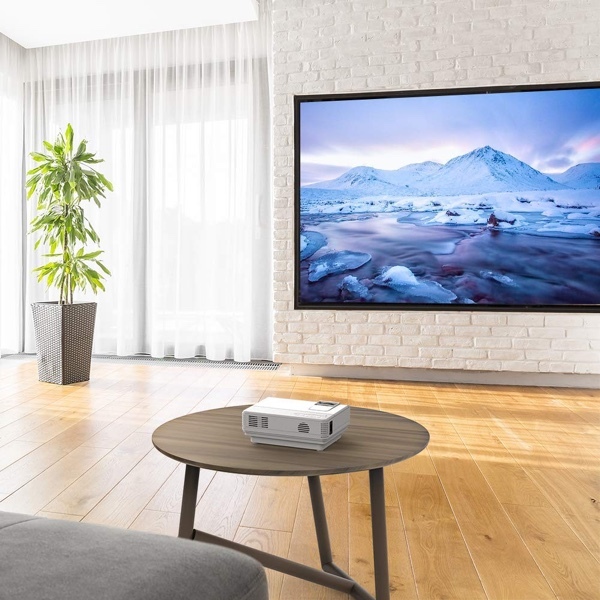 You won’t struggle for ways to connect this thing to your equipment, either, with HDMI, SD card, and USB connectivity all included as ways you can get content onto the big screen. Speaking of screens, this projector is good for throwing an image up at anything from 32 to 176-inches, which is certainly large! 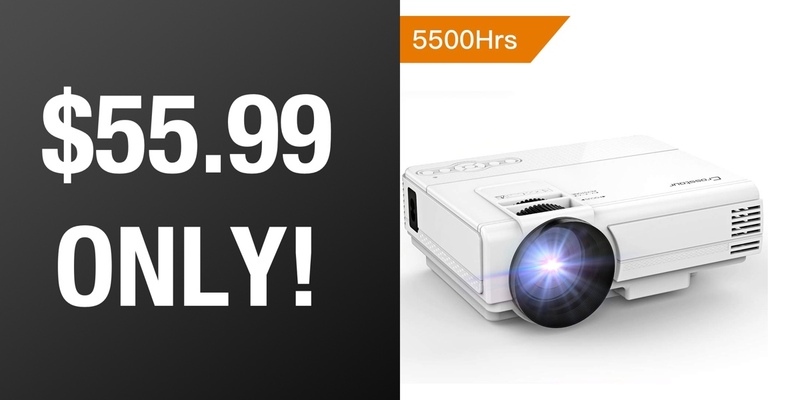 Normally this projector is one of the more inexpensive at around $80, but right now you can pick it up with an additional 70% off! If an inexpensive, small, light, and quiet projector is on your Christmas wish list, this is a great place to start the hunt. You can definitely pay plenty more than this for much less projector, that’s for sure. Native Resolution:	800×480 <— SHAME ON YOU REDMONDPIE! Seriously, stop promoting this garbage! The reviews on Amazon are either shills or idiots! As well as the hidden native resolution value, the claimed value for its lumens has also been shown to be completely false on dozens of these cheap Chinese projectors, often providing less than 50 ansi lumens. I think he had in mind that the supported input it 1080p max. All those cheap projectors usually have native output res at 480p. I know coz I have one like that. I am actually pretty happy with it considering what I paid and what I got. Now I can enjoy a good cinema night at home for cheap. Corn included, lol.